Дата съёмки 17 февраля 2016 г. 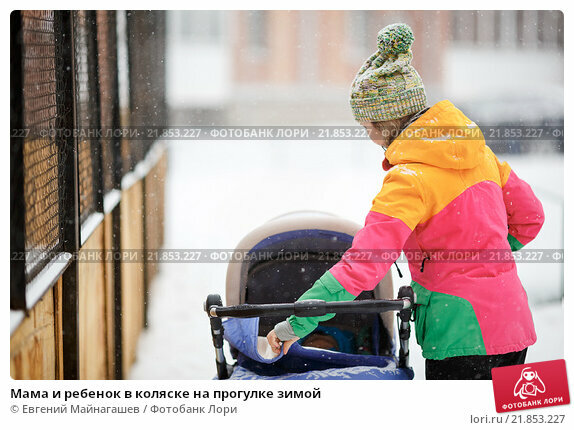 Mom and baby in a stroller on a walk in the snowy winter weather. Snowfall, blizzard, outdoor.